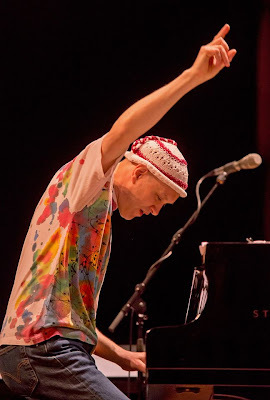 Django Bates. Luleå, 2013 New Directions Festival. Django Bates, with regular trio members Peter Bruun drums, Petter Eldh bass, brings the Norrbotten Big Band, from Sweden, with Ashley Slater vocalist, to the Late Night Prom next Wednesday 28th, start time 10.15pm.The concert has Django's re-workings of Charlie Parker plus original compositions. Details/ tickets (Proms standing £5 on the night) on the BBC Proms website.